Many are slated to be hotel associates!!! HAL. Open my hotel room door. Like HAL he might rebel! A friend of mine recently stayed at Hotel EMC2 (Autograph Collection) in Chicago. He ordered a beer & posted a video of a robot delivering his bottle! Science fiction is reality. Obviously, the benefit is lower cost rooms. If I am traveling by myself or on business, generally, I am not looking for any frills. If I am traveling with family or an extended vacation, I would not be happy with that setup. As we all know when dealing with computers, it is a black and white decisions making. I would rather deal with real people where emotion and empathy will enter into any equation. The future is here, but I still like the present. I was almost band manager for STYX, then I woke up. 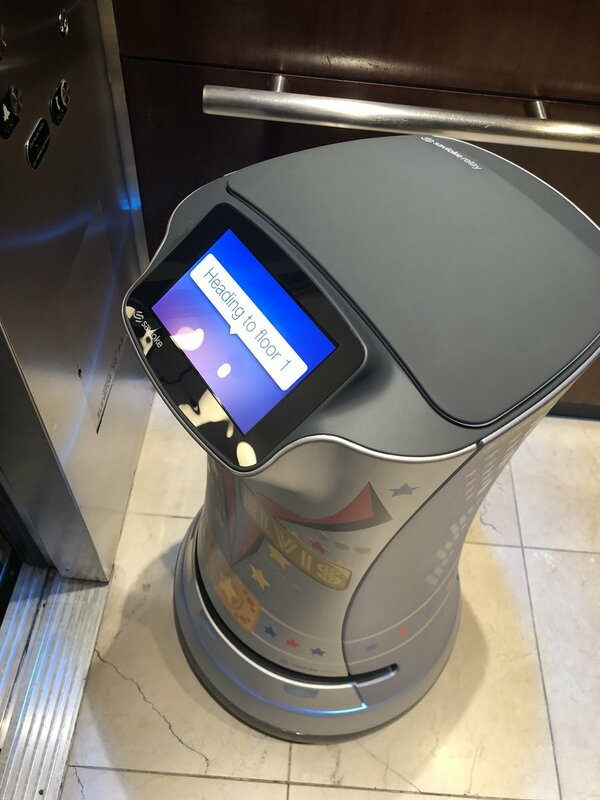 That savioke robot is actually in aloft hotels (as Boltr) but I was looking to obtain a few to test them out. Most people think they're just more fun to play with rather than functional. Pretty sure that wouldn't work for me. I need something that's big and not easily tipped esp with kids around. I personally would probably step on one if I wasn't paying attention. Watch the face of the associate when they don't give you an upgrade: very robotic!!! I woke you up, didn't I? Having said that; That's not bad (or at least, you've done worse ). One thing that did catch my eye in your original article was the prediction of somewhere between 400 and 800 million jobs being lost - ouch. I'm moving more and more to the Elon Musk camp, once they get smarter than us - watch out!